While many device run some form of graphical user interface or another, the command-line tool is far from dead: it is the main interface both for configuration and hacking together systems. What I find fascinating is that ANSI control sequences have reached the legacy system status a long time ago. 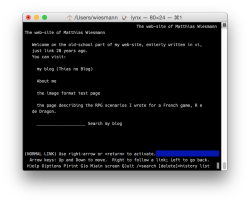 Look at the set of tools you invoke in the terminal, only a few ever get support for colours output. At the same time, another formatting language with escape codes has become prevalent: HTML. 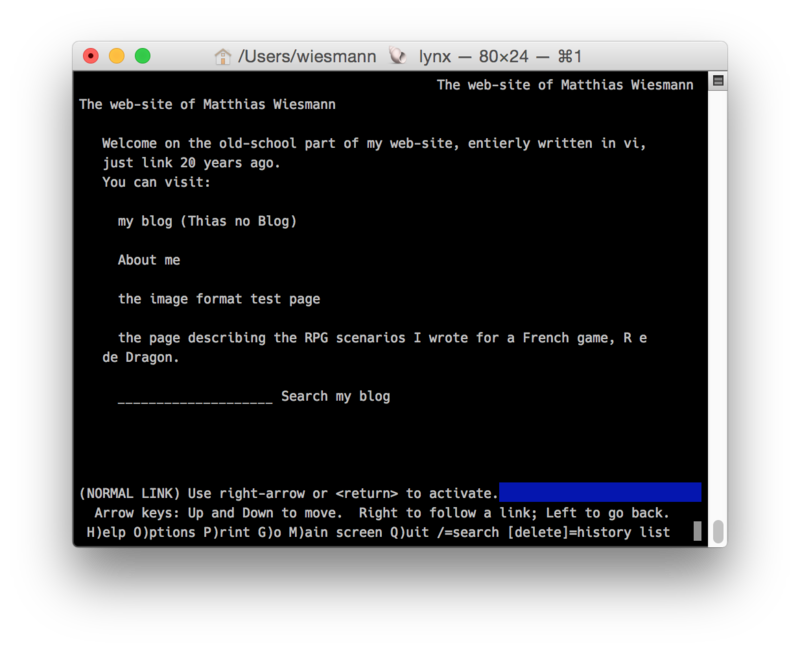 While in theory you can implement a command line web-browser – like lynx – the web nowadays is more pixel centric than character centric: there are images, non proportional fonts, compositing, and shadow effects. Web navigation is very mouse centric, you can add keyboard shortcuts to a web-page, but this feature is rarely used. The only concrete text feature present both in ANSI codes and in the original HTML spec is underlining text, a feature that is rarely used in both systems because it hurts legibility. The fact that Tim Berners-Lee chose to build a new language instead of reusing ANSI codes made sense: the system was complex with changing levels of support, weird features. A lot like what HTML is today. While you can implement the web equivalent of most desktop applications, the complexity increases as you move away from the paper form. While in theory web applications are cross-platform, they more often than not are not usable on devices which are not computers. I have many devices which can run a web browser: laptop, tablet, phone, gaming console. Many web application are only usable on the first device. Note that the problem is not only computing power, but also the assumption that there is a pointing device and a keyboard. Given the complexity of web development, it is hardly surprising that attention is moving away from the browser to mobile apps. It is probably too early to say if it is a fad or the next evolution, but what is clear that the basic assumptions of the web: a pointing device with a keyboard,a large screen containing text and static images is less and less appropriate. This entry was posted in Computer Science, English, General, Ｗeb and tagged Ansi, HTML, Ｗeb.